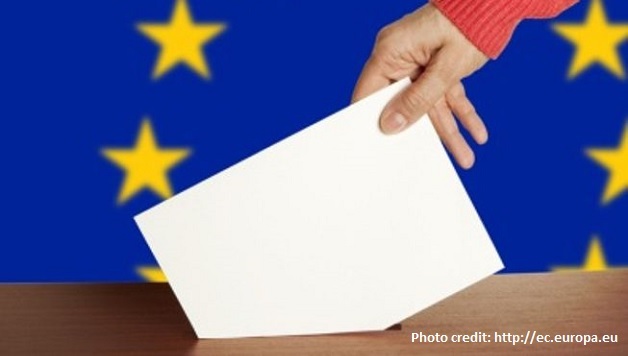 The long-predicted ’earthquake’ – the electoral “triumph” of the far right and their allies – took place in the European elections in some key countries. In Britain, Ukip came first, pushing Labour into second position and the Tories – the ’governing party’ – into an ignominious third position. The Liberal Democrats were completely humiliated, left with just one MEP! In France, the governing Socialist Party suffered an even worse disaster, reduced to just 14% of the overall vote, with Marine Le Pen’s Front National (FN) claiming victory against both François Hollande’s misnamed ‘socialists’ as well as the center-right UMP. The far right managed to hoover up the votes of many workers who had looked towards the left and the workers’ parties in the past. 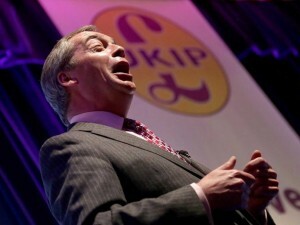 The far right successfully deflected workers’ anger and bitterness against their increasing impoverishment into a protest vote against austerity and immigration, which was presented as the author of all their misfortunes. The far-right Danish People’s Party also won the biggest share of the vote while eurosceptics and right-wing parties gained across the Nordic countries. 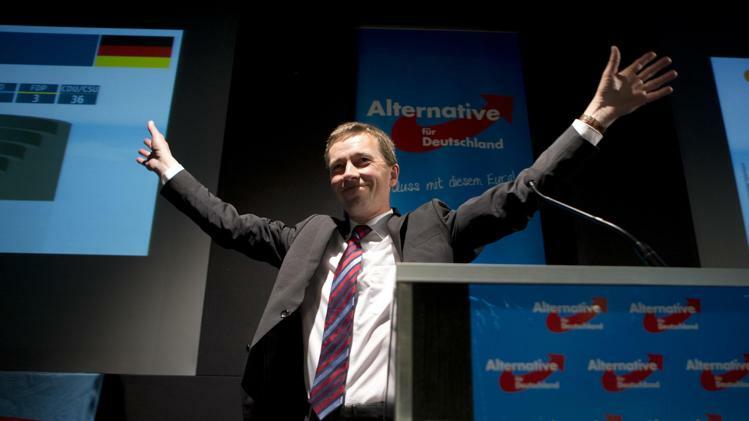 Even in Germany, Alternative für Deutschland, a relatively new eurosceptic party, gained seats for the first time in the EU Parliament, which meant that Angela Merkel’s party, the CDU, suffered its worst result in European Parliamentary elections. The neo-fascist NPD won a seat, as did a number of small ’protest’ parties. The new prime minister Matteo Renzi in Italy bucked the trend because he is still in a honeymoon period and workers crave some stability. That will change as his attacks on the working class are implemented. However, the presumed unstoppable advance of the far right was not reflected everywhere and particularly where the working class had the alternative of voting for a mass left or workers’ party. This was shown in the Netherlands as the advance of Geert Wilders’ far-right Party for Freedom was halted, in the main because there was an alternative for workers to vote for in the form of the Socialist Party. Notwithstanding the political inadequacies of this party on program and internal lack of democracy, it nevertheless acted as a pole of attraction for workers, managing to cut into the expected vote of the far right. The same is true for Greece, where Syriza topped the poll with 26%, 4% ahead of the main right-wing governing party, New Democracy. At the same time, the neo-fascist Golden Dawn got over 9% of the vote and has entered the European Parliament for the first time. The neo-fascists would have been undermined even further if Syriza and its leader Tsipras had not watered down some of its most radical demands, such as the cancellation of the debt and the nationalization of the banks, in the mistaken belief that a more ’moderate’ approach would boost its popularity. 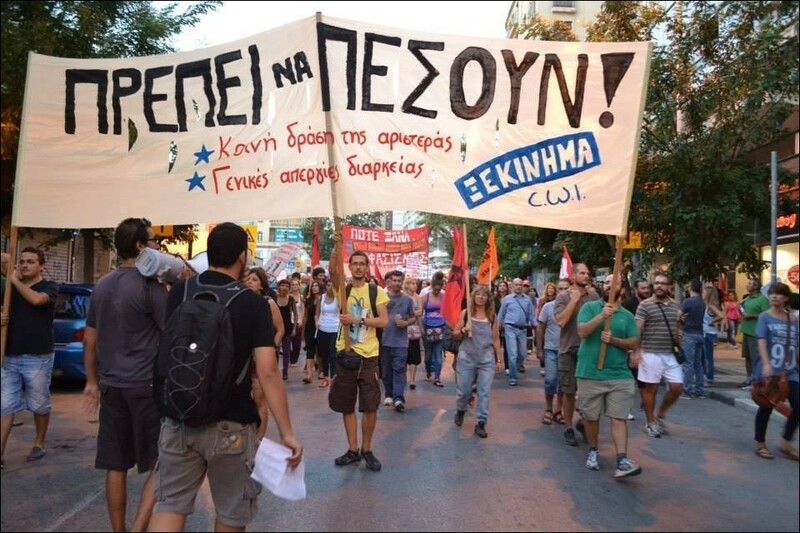 One welcome outcome in Greece was the victory of Nikos Kanellis, a leading member of Xekinima (Greek section of the CWI, the world socialist organization to which Socialist Alternative is affiliated) in local elections in Volos. 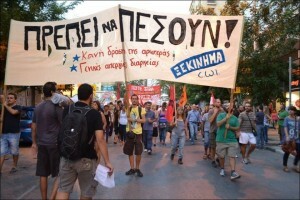 This is just a small anticipation of the way the long-suffering Greek workers will move en masse in the future. In Spain the governing party did badly, as did the former social democratic opposition, PSOE, whose leader has resigned. But the left parties and formations like the United Left and Podemos did well. The same is true of Ireland where, in general, the main capitalist parties – Fianna Fáil and Fine Gael – suffered, while the Irish Labour party received a major drubbing. Labour has been participating in government and presiding over vicious austerity. Party leader Eamon Gilmore has been forced to resign. But, like Spain and Greece, where there was a left alternative it did well, and in the case of the Socialist Party, spectacularly so. The election to the Dáil of Ruth Coppinger in the parliamentary by-election in Dublin West, together with a slew of 14 councilors in Dublin, Cork and Limerick, represents a real triumph for socialism and genuine Marxism. 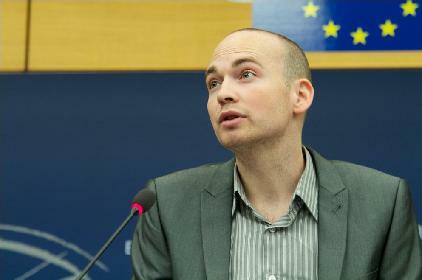 Unfortunately, Paul Murphy was not re-elected as a member of the European Parliament, despite nearly 30,000 first preference votes. One of the factors leading to his defeat was the shameful decision of the Socialist Workers Party (SWP) in Ireland to stand against Paul, a sitting MEP, which opened the way for another candidate to win the seat. This was a blow not just for Paul, the left of the Irish labor movement and the CWI, but to all those workers who have been involved in struggle throughout Europe and wider afield than this, including Palestinians, Sri Lankan activists, Kazakhstan workers, and others facing repression. They have seen him as an energetic fighter for their many causes. 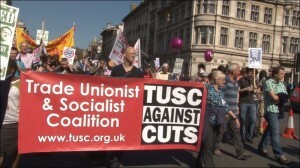 This spiteful and blatant example of sectarianism – putting your own short-term narrow interests before the cause of the left and the working class – has been passed over in complete silence by their counterparts internationally and especially in Britain, where the SWP is formally in an alliance in the Trade Unionist and Socialist Coalition (TUSC) with the Socialist Party. What are the conclusions to be drawn from this round of elections? Firstly, the results of the national, local and European elections represent a revolt against the whole of the capitalist establishment, including the leaders of the ex-workers’ parties like Miliband, Hollande, etc. Even these leaders speak of mass ’alienation’ and ’disenfranchisement’ without once really admitting that this disillusionment applies not just to the official right-wing parties but to their parties as well! Moreover, unless alternative mass parties of the working class are established in time, possessing a clear fighting socialist alternative, then these disillusioned masses can turn in desperation to the far right. Imagine if the trade union leaders in Britain, particularly those on the left like Len McCluskey, had assisted in the development of a new mass workers’ party with radical socialist ideas, what effects this would have had in this round of elections and the general election in 2015? Only a class program, involving such concrete measures as a cap on skyrocketing rents, an emergency council home-building program, and fighting the cuts, could lay the basis for beginning to answer Ukip’s empty demagogy. Nigel Farage in his ’former life’ was a stockbroker, a scion of the rich, a member of the bankers’ fraternity, who dragged us into the abyss of a devastating crisis from 2007 onwards. Many confused working people, in desperation, were seduced to vote for Ukip because they could not see an alternative in these elections. In some areas, where they could, they gave one vote for Ukip, and one for TUSC. This is just one indication that there was no entrenched racism among the majority. They could be won to a radical anti-capitalist party and a campaign which fought against the shallow, false notion that immigrants are the cause of the problems they face. This in turn could help to cement class unity by fighting for the ’rate for the job’, against zero-hour contracts and for a living wage. In complete panic following this election, the Tories, and even Labour spokespersons like Ed Balls, have called for “noise” about immigration. 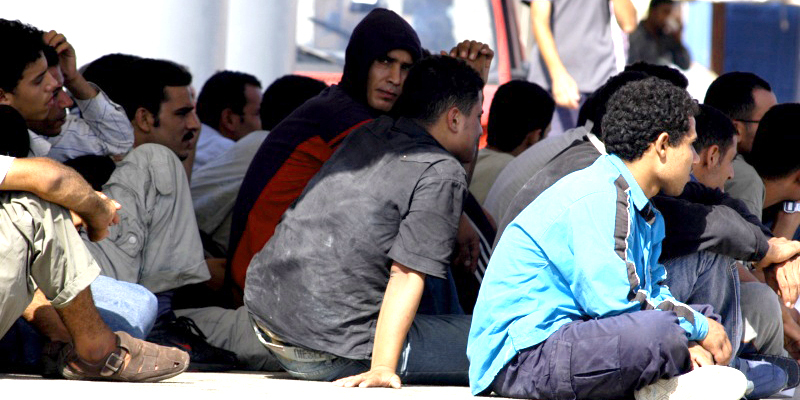 Without a complete withdrawal from the EU and its treaties – which is not favored by the capitalists and therefore is unlikely in the short term – they know they will not be able to immediately stop immigration from the EU countries. Therefore, their propaganda is against ’immigrant welfare scroungers’, so-called benefit tourism, despite the fact that all figures show that very few immigrants to Britain and elsewhere take advantage of these ’benefits’. The only effect of this will be to play up divisions and racism, which must be energetically combated by the whole labor movement. Not voting was a key trend in these elections and an expression of the distrust of the political establishment – with a farcical 13% voting in Slovakia. In Britain, well over 60% did not vote, but the results do not necessarily indicate how people will vote in the 2015 general election. Nevertheless Ukip threatens to become an entrenched right-wing factor in Britain, like the Freedom Party in Austria or the National Front in France. Moreover, the after-shocks are having an immediate effect in Britain in raising question marks over the continued direction and leadership of all three main party leaders. It is still unlikely that any of them will be ditched before the election. But Nick Clegg is certainly a candidate for removal as his party faces oblivion in the general election. Even Ed Miliband faces criticisms from his own party, including the Labour-supporting Daily Mirror: “Weird Ed… Odd Ed was always a greater political danger than Red Ed. Voters warm to bold policies and a left-wing fairness agenda is popular” (Kevin Maguire). But nominally ’Red Ed’ will still not cut the mustard with the working class, imprisoned as he is within the framework of capitalism. 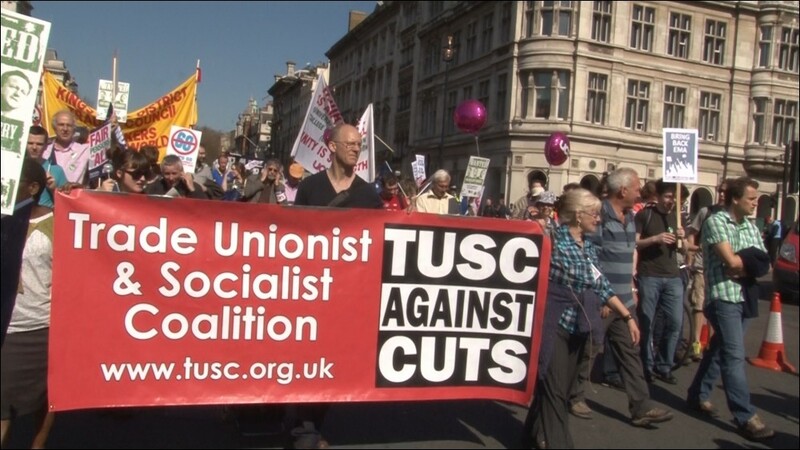 A new mass working class party consistently fighting for radical, socialist policies can offer a way forward for working people in Britain and Europe.